If your attic is a guest bedroom, then you don’t want it crowded with things like old suitcases, boxes of clothing and sport equipment. That is not very welcoming to an out of town guest. If one of your kids is using the attic for their bedroom, then there still might be a lot of items that should be brought down and carted away. 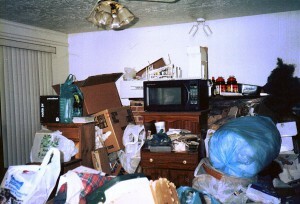 As for the “attic as storage unit,” there is sure to be all kinds of things you probably forgot you even put up there. The more you can remove, the more space you can make for things that matter. The team that Junk King will be sending over will make as many trips up and down the stairs as possible to get to what you want removed. Don’t hesitate to ask them to move the heavy things, too. That is what you’re hiring them for. Everything that ends up on the Junk King trick might have a final drop off at a local charity. They’re always looking for clothing, furniture and other household goods. The Junk King crews all know what to keep an eye out for and in what condition is acceptable. You should feel good knowing your stuff won’t automatically end up in a landfill. The quickest and most affordable way to get your attic clear of rubbish is to hire Junk King Denver for the task. Make that call today. This entry was posted in Denver Junk Removal and tagged attic, Junk King, junk removal on October 22, 2018 by Junk King. Last updated October 23, 2018 .